FinTech is an area which does not merely merit consideration, it demands an alignment of strategy, a pooling of resources and a focusing of effort for credit unions to unlock the enormous potential offered by new and emerging technologies. 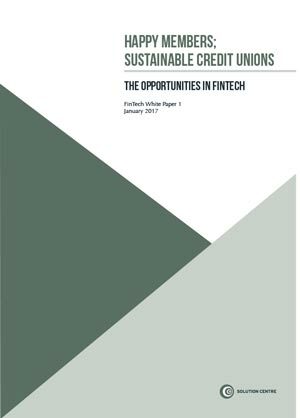 It is, therefore, the distinct privilege of the Solution Centre to present this white paper on FinTech, the first in a trilogy of volumes. In this first volume, we provide an introduction to financial technology and the opportunities it presents for credit unions, seeking to demystify some of the terminology surrounding the topic. In the volumes to come, we will focus on what is available today, give practical considerations on implementation and plan for future requirements.